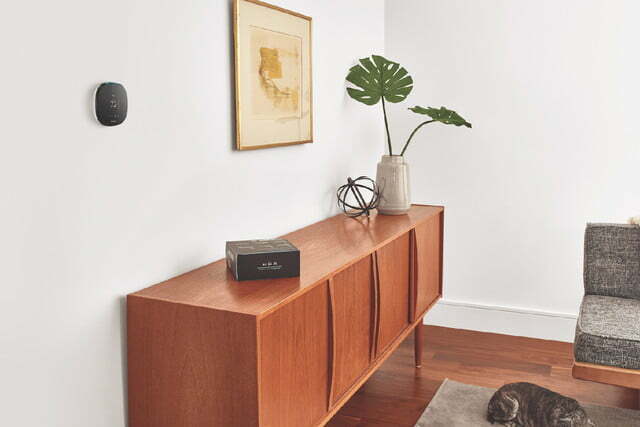 With an easy-to-use interface, home sensors, and Alexa control, the Ecobee4 is a great addition to your wall. When people think of smart thermostats, the Nest Learning Thermostat is what typically comes to mind. But shoppers at the hardware store now have choices as a lineup of lesser-known competitors have hit the shelf recently. 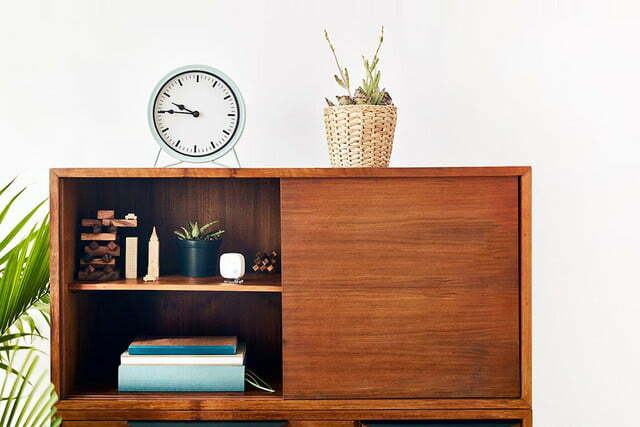 When the time comes for you to buy a smart thermostat, don’t overlook the Ecobee4. With an interesting array of features — including a built-in speaker and mic that embeds Amazon Alexa or Google Assistant into your HVAC controller — as well as great temperature control capabilities, this product is literally bringing the heat. Learn what it was like to live with in our Ecobee4 review. Ecobee’s latest smart thermostat costs $249 and comes with one remote sensor, though there are more expensive bundles that come with more wireless satellites. You also can buy them separately. These sensors, which can measure temperature, humidity, occupancy, and proximity, may be the smartest thing about the Ecobee, and we highly recommend using more than one. Their ability to gather information in multiple rooms greatly adds to the accuracy and efficiency of this smart thermostat. For us, installation of the Ecobee4 was relatively painless; that’s partly because of our familiarity with the Ecobee3, which has a slightly different footprint on the wall but a similar wiring layout. Whether you’re familiar with Ecobee products or not, this model is easy for most people to install. There are two installation issues worth noting. First, when we originally got the Ecobee3, we opted to have a professional install it because our testing home is heated via an electric heat pump and a gas furnace. The heat pump has a reversing valve, which can complicate thermostat installs. In this instance, however, because the Ecobee3’s wiring is similar to the Ecobee4’s, we did the installation ourselves. Also, some people’s HVAC wiring may require them to install a Power Extender Kit, and the Ecobee4 comes with one included. Installing the Ecobee4 included tripping the breaker for the heat pump and the furnace (which also cut the power to the thermostat), removing the old thermostat, and following the colored wire schematics to reinstall the Ecobee4’s backplate. 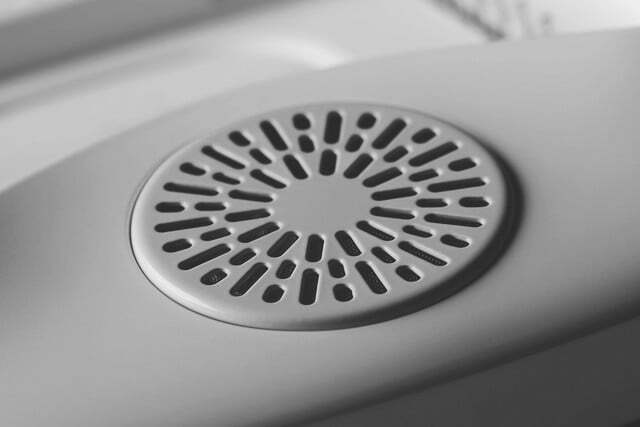 The smart thermostat also comes with a trim plate that can conceal any unsightly holes left behind by your previous thermostat. Once the backplate is wired, you simply snap the thermostat onto it, and the device begins to boot up. 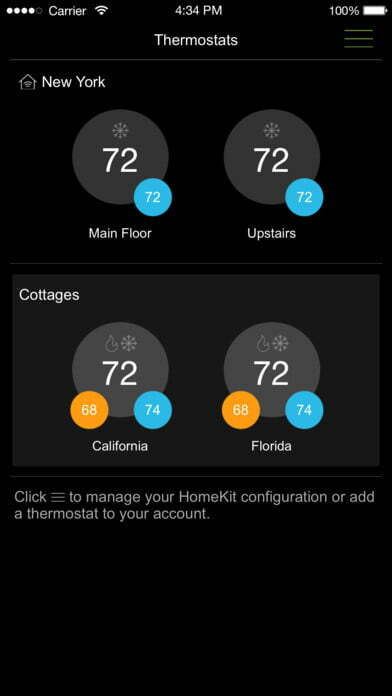 Software setup is quick and easy, and an app connection to Wi-Fi gets the new thermostat online. It has a refined, modern look, but it wouldn’t be out of place in more traditional homes. 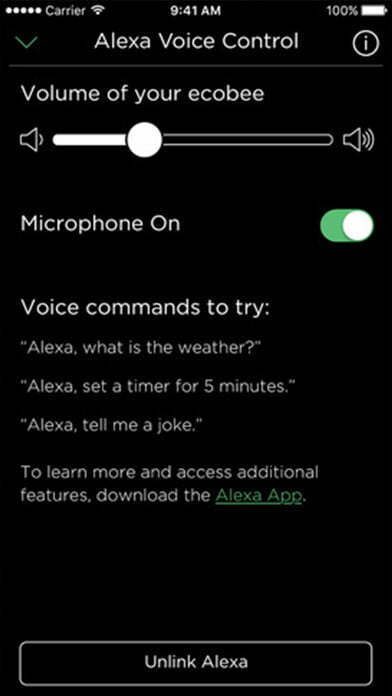 One feature packed into the device is a microphone and speaker so the thermostat can access Amazon’s Alexa and Google Assistant. In repeat and prolonged testing (within earshot of an Amazon Echo speaker, no less), Alexa did her job very well. Despite being situated in a hallway between the kitchen, a bedroom, and a bathroom, she heard every request sent its way and relayed the response with crisp, clear sound. In addition, the Ecobee4 now works with Alexa Announcements, meaning that you can say, “Alexa, announce that it’s time for homework,” and the Ecobee4 will serve as a speaker that announces that information along with your other Amazon Echo speakers. We have yet to test the device with Google Assistant, but hope to do so soon. 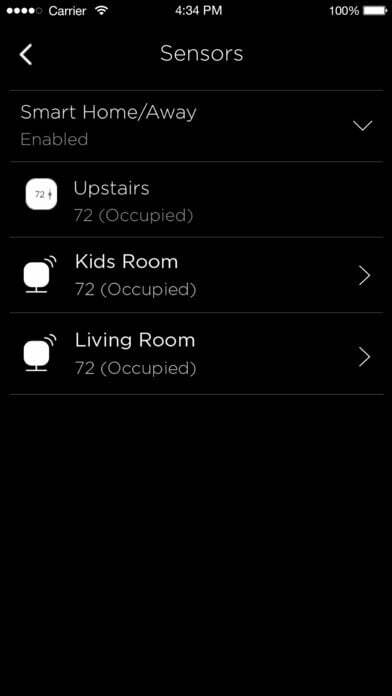 The Ecobee4 is also Apple HomeKit compatible, a feature that, in theory, we love. But the reality is that we only had our Ecobee3 connected to it for a matter of weeks before it somehow lost its connection to the home network. We honestly didn’t bother connecting the Ecobee4 to it, because if it works as well as it used to, there’s little point. However, it’s worth noting that Apple is making changes to HomeKit all the time, and maybe the Ecobee4’s iOS compatibility will be a worthwhile feature down the line. We do like this thermostat for the ways that it is future-proofed, even if they don’t work particularly well together now. But the biggest flaw in voice controlling the thermostat is that when the system is off, we’ve never been able to turn on the cool air (or heat) with our voices. We don’t understand why Ecobee or Apple or Amazon haven’t enabled this, but some of us live in a house with windows, and if the window is open, we don’t want the AC on — so “off” is the default position. Maybe someday, connected home sensors will be smart enough to block the cool air from coming on if a window is open, but we are not there yet. Otherwise, since the Ecobee3 and Ecobee4’s interface and systems are identical, we can say in the years that we’ve used an Ecobee, we’ve had few complaints. 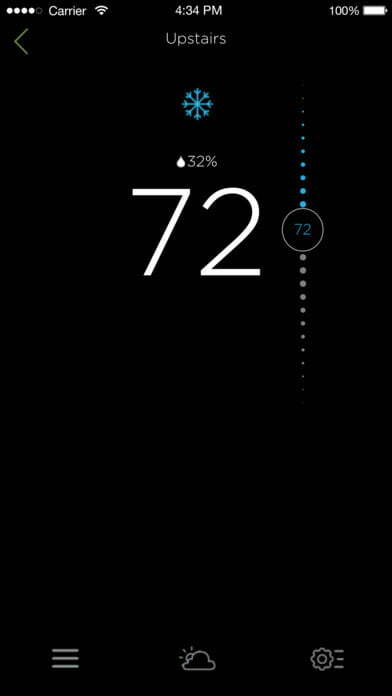 It would be great if the Ecobee4 gave us the ability look at our HVAC’s performance via the app — a minor complaint. Also, there’s limited schedule-building capabilities in the app compared to the website. This might seem a minor point, but for those who would like comfort settings tailored to their tastes it’s a drag to have to go to the website to set that up. 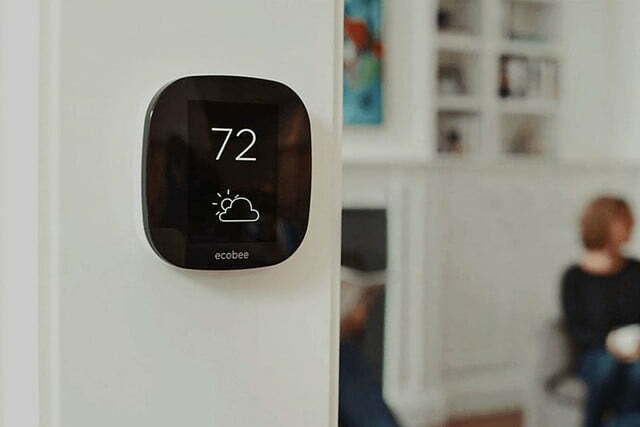 Whether you’re using the Ecobee4’s schedules or geofencing to regulate your home’s heating and cooling, the smart thermostat does a fantastic job of turning systems on or off without an issue, saving energy (and money) if you configure and use it properly. Likewise, as an Alexa-connected device, it hears and responds well, rarely missing a request despite that its microphone and speakers are neatly tucked between the thermostat and the wall. But the smartest tech baked into this system is the Ecobee4’s remote sensors. These battery-operated satellites let you measure the temperature in rooms around your home. From there, you can perform a variety of heating and cooling-related fixes. For example, an obvious use is averaging the temperatures of rooms throughout your home, a function that helps ensure that one area isn’t draftier than another. Also, through a “follow me” feature, the Ecobee4 can adjust your home’s temperature based on where you go (so no need to measure the spare bedroom, if you’re not spending time there). These two tricks alone make the Ecobee4 a great thermostat for older homes that may not have multi-zoned heating and cooling. We recommend Ecobee4. Due largely to its ability to connect with remote sensors, the smart thermostat performs extremely well, offering users an array of features and configurations that can make homes feel warmer and perform better. 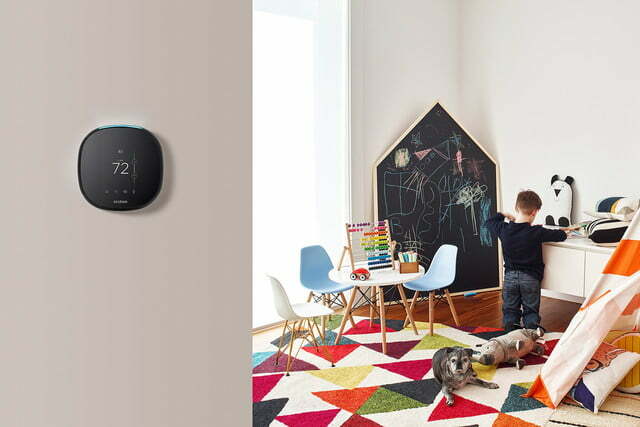 Ecobee offers a generous three-year protection on all of its thermostats. We recommend Ecobee4. Due largely to its ability to connect with remote sensors, the smart thermostat performs extremely well, offering users an array of features and configurations that can make homes feel warmer and perform better. The $169 Nest Learning Thermostat E is a fantastic choice for bargain hunters, while the third-generation Nest Learning Thermostat, priced at $249, remains a great pick and has been recently enhanced with remote temperature sensors. 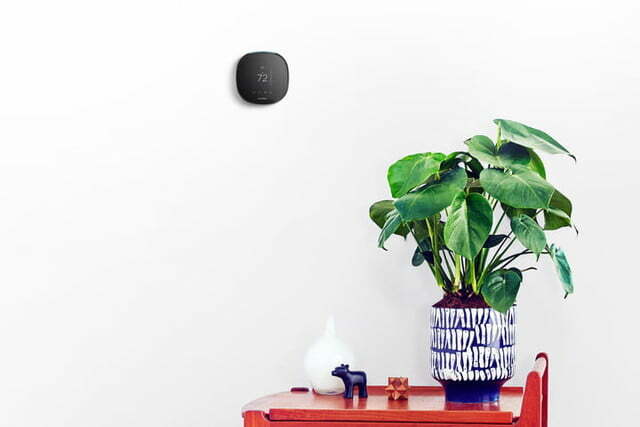 While still a relatively new company, Ecobee has a track record of doing regular firmware updates for all hardware available, and the device should last you several years. Yes. With an excellent whole-home sensor system, an easy-to-use interface, and a simple app, the Ecobee4 is a solid choice for a smart thermostat. The fact that it’s an Amazon Alexa speaker just sweetens the deal. Updated in September 2018 to note that the Ecobee4 supports Amazon Alexa announcements.